*In this context, a regular exerciser is someone who does vigorous exei five days a week for at least forty-five minutes. You also must conquer your former bad habits and learn how to cope with real-world challenges. Maintaining weight loss is as much a mental challenge as a physical one. For example, you need to eat right even under stress. How? By realizing that we tend to reach for sugar and starchy foods for comfort, when proper food choices can actually lessen the impact of stress on your body. Similarly, you'll need coping strategies for holidays and special occasions, as well as knowing how to get restaurants to serve you exactly what you know you should be eating. As you did in the three weight loss phases of Atkins, make weight control a constant priority in your life. Recreate that attitude and you can continue your success. 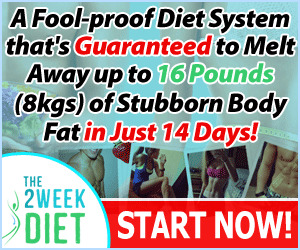 One good tool is to-once and for all-get rid of your "fat" wardrobe. When your clothes are getting tight and you don't have the next size in the closet to retreat to, you'll be forced to confront your weight gain sooner. By never letting your weight vary more than 3 to 5 pounds, you'll head off trouble and get off the weight roller coaster for good. If your metabolism can handle it, I'm about to allow you, in moderation, many of the foods you used to enjoy. (The exception is sugar.) I have worked with too many overweight individuals who have reached their goal weight four or more times, only to gain back the pounds every time. Their fatal flaw: always trying to return, as closely as they could without giving up Atkins altogether, to their old way of eating. I hope you have learned better on this odyssey. Here's what I recommend to my patients when they begin Lifetime Maintenance: Promise to weigh yourself at least once a week. 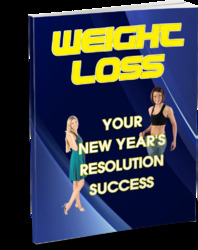 Choose a lifetime weight range of 5 pounds, the low number being your goal weight. The higher number will be your maximum allowable weight. Whenever you reach the higher number, you must promise that, within a week, you will begin the Induction phase and quickly switch to OWL until you again reach your goal weight. Do this and you will never have more than 5 pounds to lose.